Acute lymphoblastic leukemia (ALL) is a cancer of the white blood cells, the cells in the body that normally fight infections. There are two main types of white blood cells-lymphoid cells and myeloid cells. ALL affects lymphoid cells. A molecular epigenetic marker is important for distinguishing patients with childhood leukemia at high and low risk of relapse even at the time of diagnosis. Scientists at the University of Virginia School of Medicine have discovered a defect in immune cells known as "killer T cells" that explains their inability to destroy cancer tumors. 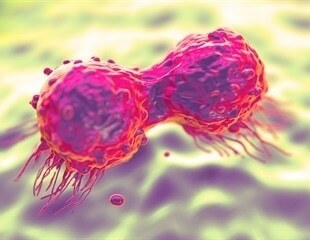 The researchers believe that repairing this defect could make the cells much better cancer killers. Acute T-cell lymphoblastic leukemia is a rare type of blood cancer that affects mostly children. This blood cancer appears from the precursor cells that produce T lymphocytes. Like cartographers completing a map, investigators have identified multiple new subtypes of the most common childhood cancer--research that will likely improve the diagnosis and treatment of high-risk patients. Actually, cancer can hide. A researcher at Children's Hospital Los Angeles tells us exactly how leukemia burrows within bone marrow, where it is shielded from chemotherapy treatments. Nova Southeastern University researchers recently discovered that by testing the level of NER (nucleotide excision repair) gene expression, pediatric oncologists can determine the likelihood of early relapse (less than three years) in their acute lymphoblastic leukemia patients. Physician-scientists from Children's Hospital of Philadelphia presented updated efficacy and safety data on Kymriah--the first-ever U.S. Food and Drug Administration approved personalized CAR T-cell gene immunotherapy for aggressive blood cancers at the 60th American Society of Hematology annual meeting, as well as first-of-its-kind research on overcoming CAR T-cell resistance. Sartorius Stedim Biotech, a leading international supplier of the biopharmaceutical industry, through its China affiliate, and Beijing-based Immunochina Pharmaceuticals, announced today that both parties have entered into a collaboration. In an update to a global clinical trial stretching from Philadelphia to four continents, the chimeric antigen receptor (CAR) T cell therapy Kymriah (tisagenlecleucel, formerly CTL019) led to long-lasting remissions in patients with relapsed/refractory (r/r) diffuse large B-cell lymphoma (DLBCL). Adoptive cell transfer is a promising cancer immunotherapy that involves isolating T cells from cancer patients that are capable of targeting their tumor, selecting the more active T cells and expanding those in the lab, and then transfusing them back into patients. The Abramson Cancer Center (ACC) at the University of Pennsylvania announced today that it is joining the National Comprehensive Cancer Network (NCCN) as its 28th member institution.